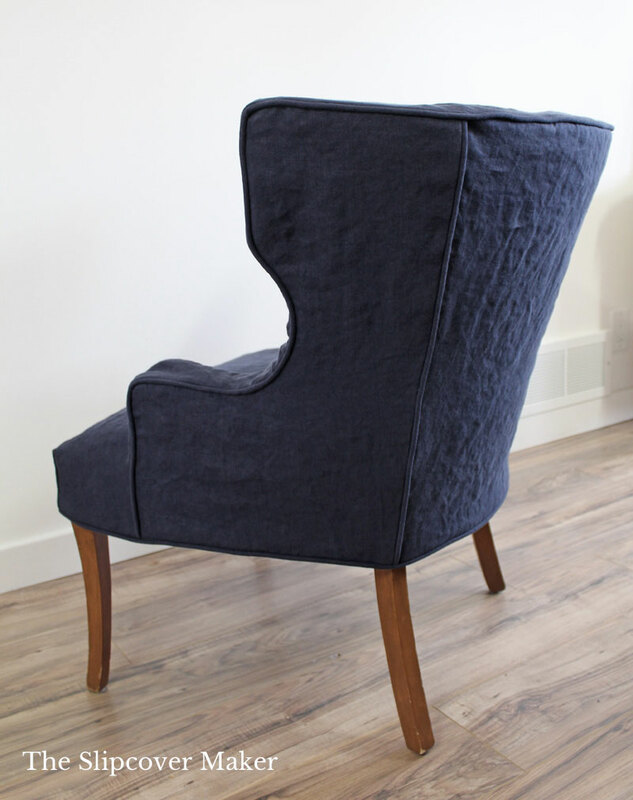 A request for a washed, navy blue linen slipcover is a sure sign of spring! 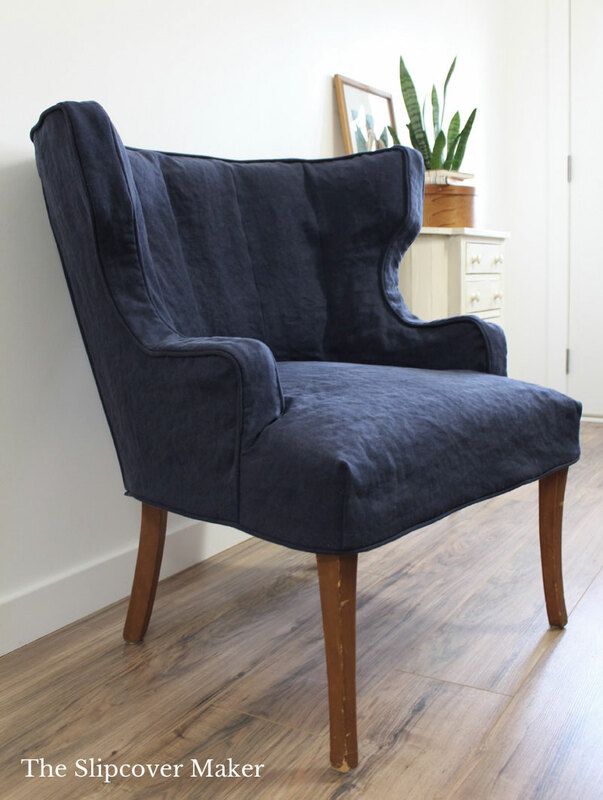 For this project I updated Roz’s vintage channel back chair with Brazil, a 100% linen in color navy blue 6 from InstaLinen. Brazil is offered in different shades of navy but no. 6 is my favorite. I love this dark inky color. It has just the right amount of black to make it a classic navy. I’ve worked with Brazil several times and it never fails to impress. It’s a 12 oz. that is weighty and offers good coverage over worn upholstery. The after washed look is beautiful! I rarely press this linen after I pre-shrink it (you can, but don’t have to). It comes out of the dryer with a soft dimpled texture and floppy drape — like a quality linen should — but never any hard wrinkles. Be sure to follow my pre-shrink instructions. Roz’s vision for her new slipcover was casual with a tailored fit….and a little pleated skirt, which I will be adding. Cute! That’s easy to achieve with this type of linen. It’s versatile and works well for many different slipcover designs. Want to learn more about linen? 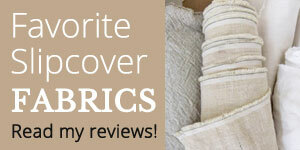 Check out my article, 4 Things to Look for When Choosing Slipcover Linen. This entry was posted in armchair slipcovers, linen and tagged slipcover maker in Kalamazoo on March 29, 2018 by slipcovermaker. 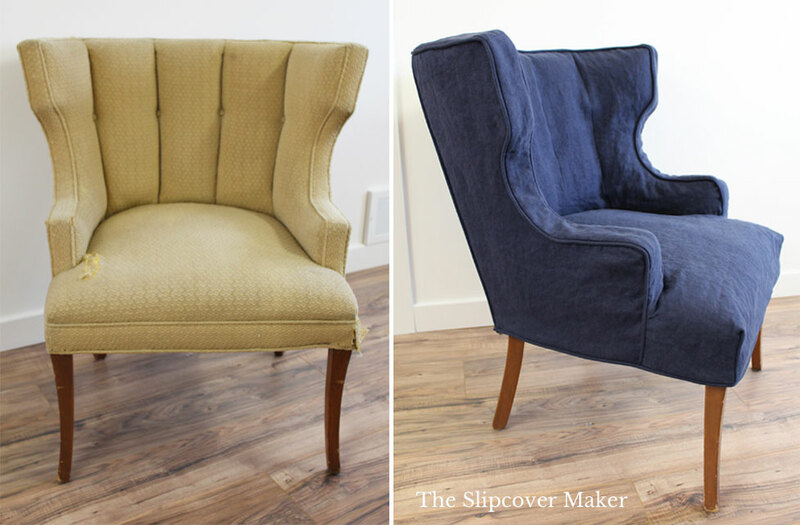 I LOVE this slipcover, it totally changes the chair. So tailored, classic. Great Job Karen. Thanks, Paula! I love the transformation, too. Vintage pieces are so much fun to work on. Wow, I love your work! Do you do custom work for people out of state? Yes, if you have a slipcover I can take apart and copy to make the new slipcover. Reach out to me via my contact page and I will provide more detail. Thanks!